Each box contains 6 decks. Each deck contains 51 cards. The Dragon Ball Super Rising Broly Starter Deck box (Deck #8/Black color deck) contains 6 decks. Each deck includes 51 cards, a play manual, and a play sheet. 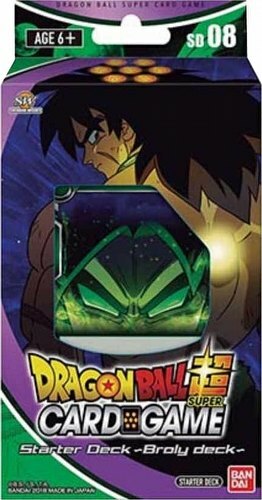 There are 10 different cards exclusive to the Rising Broly deck.